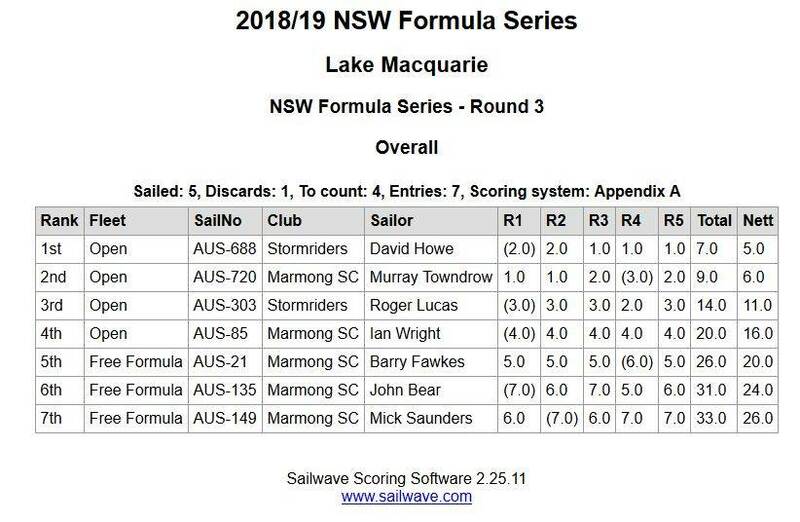 Round 3 at Marmong SC on Lake Macquarie. Briefing at 11am , first possible race at 12 midday. Combined fleet - formula and foils. Early forecast shows a 10 -15 knot NE'er. A great patch of water plus a friendly club. Great day at Marmong, good turnout despite a horrible forecast. As it turned out we had a southerly with consistent 14-18knts. We bashed out 5 races in record time. Massive thanks to Byron for going the starts and manning the boat. Results and photos to come in following days. That's great Muz .Another great event from the Marking crew . Sorry I missed a great day on the lake. 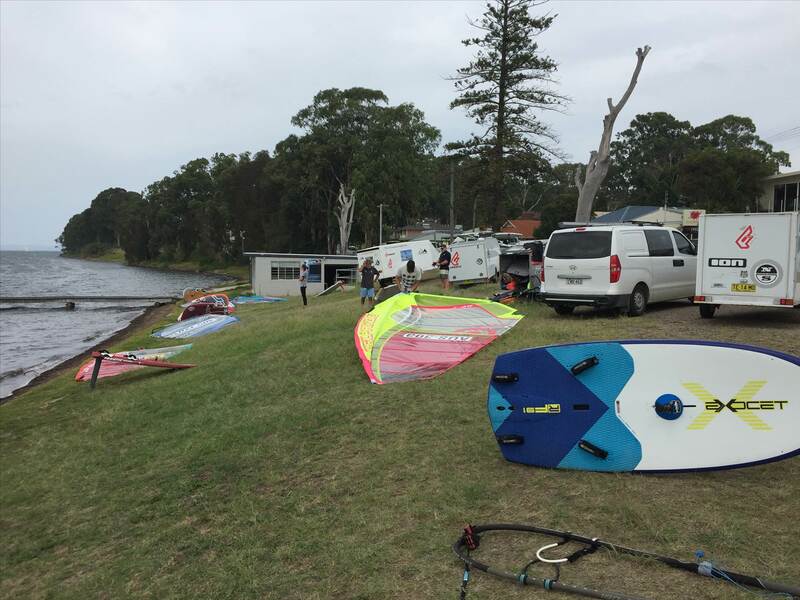 As Muz said, conditions were perfect for Formula and Foil at Marmong yesterday, with a full compliment of really great races done and dusted by 3pm. Thank-you to the Marmong crew, especially Byron on the start boat. Good thing we checked the weather observations on the day! Thanks to Murray and Glen for organising. It was a great day of racing. Here are a few pics of the racing from Andrew H.
Great day guys! Thanks to the Marmong SC and particularly Muz & Byron. 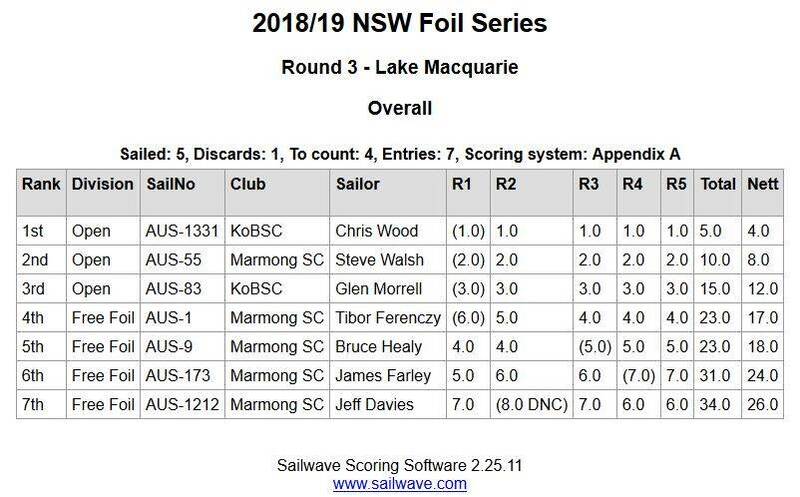 Here are the foil results - contact me if you see any errors. Formula results to be posted soon. 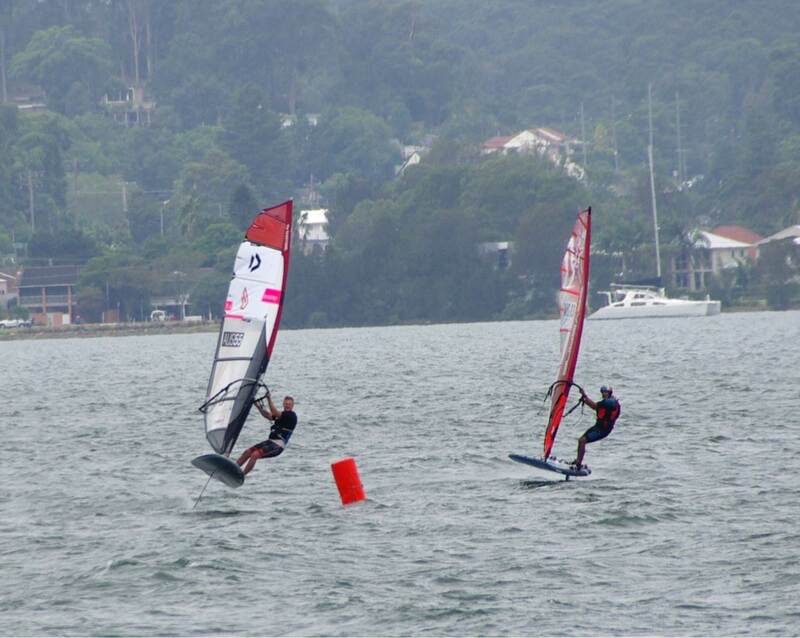 A clean sweep from Chris - just too fast and deep downwind. Great close racing all! Formula results here. Close racing again! Any chance of listing the foils that are being used at the pointy end of your fleet? On the Starboard, wing and mast choice changes with conditions encountered. Can I ask why the height of the mast matters? Or should I start reading the Foil Forums? It just gives you more room for error in terms of breaching. When racing you want to sail with a lot of power so sometimes that becomes difficult to control downwind. That extra margin for error helps, particularly if it's choppy. I think Steve was also on the long mast. 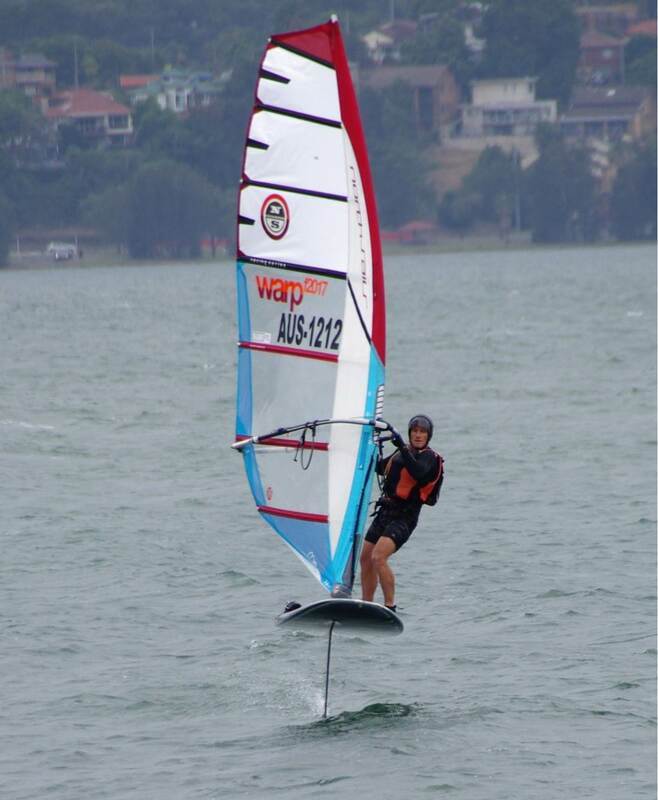 I run the modified F4 which has the same as the standard starboard mast (95cm). If you want to race just get the starboard, it's modular so you can continually upgrade it if required and it's basically wins every competition around the world. I have the F4 but it's heavily modified (fuselage extended 300mm) and whilst it's ok it's not as easy to modify/change things like on the starboard and there isn't the wide variety of wings etc available. What's the days of the next heat? 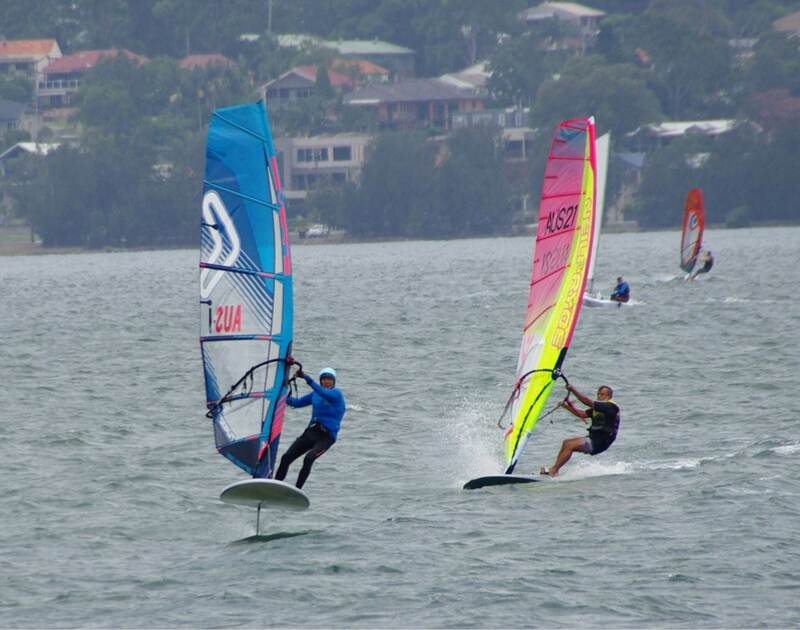 The last round of the series (round 4) is on March 30th (Saturday) at Koonawarra Bay Sailing Club on Lake Illawarra.